These are my two new set ups. one is for my randiis and the other is for my snake neck. I have 10 cages all together. I keep 11 different species of turtles. I breed and sell 5 species now. I was going to put alot more pics but the site wont allow due to picture size, sorry but i know not how to fix that. I'm curious about your cages. You can resize images with most picture viewing applications. Email me and i will respond with the pictures. i have a bunch of pics on the pond outside i made for them to play in. Resized it for you, Dan, if you want to delete that pic. Forgot to add, looks good! Thank you very much. Would you be willing to teach me how or could i send you like 10 more pics of the girls (my grandis)? I am starting a filter tank today. Any Tips? 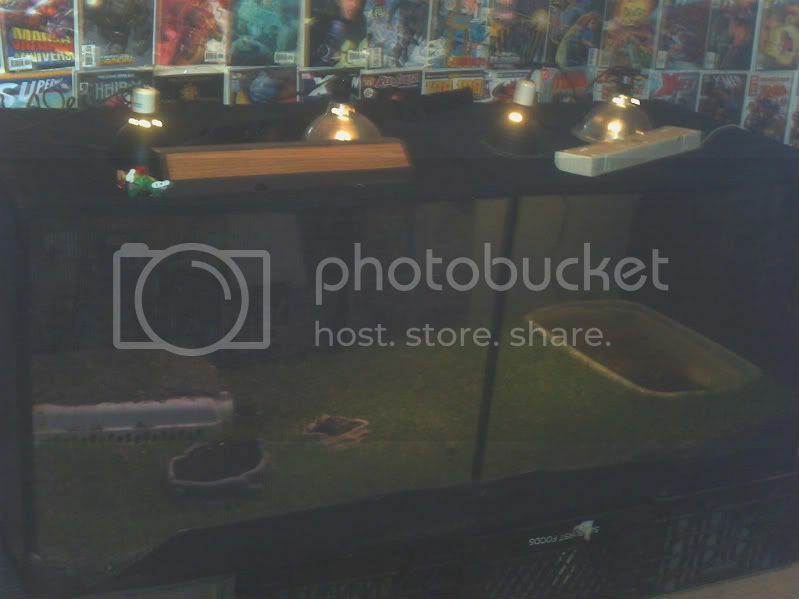 I think im goina go with a 30gal tank, sand substrate, anachris, swords, and some moss balls. Mnuba chiclids, milliwig, various petshop snails, and some ghost shrimp for the live animal parts. I have a fluval 405 and a 305. I will use the 305 to pump water from the main tank to the filter tank and the 405 from the filter tank to the main tank. I am a little worried about the pumps being to powerful for the filter tank but i will regulate the flow. You're welcome. Sorry I can't help with tips on your filter. I would be happy to teach you how to resize though or to just resize your pics for you. Whichever you prefer is fine with me.